Endangered Heuningnes Redfin found in Overberg - SABC News - Breaking news, special reports, world, business, sport coverage of all South African current events. Africa's news leader. Tags: Overberg, Heuningnes Redfin, Renosterveld vegetation, Keir Lynch, Overberg Renosterveld Conservation Trust, Cape Kurper, The Watercourse restoration project. The discovery of the Heuningnes Redfin was made recently by conservationists working on a watercourse restoration project in the area. A small population of critically endangered fresh water fish, the Heuningnes Redfin, has been found in fragmented river systems in the Overberg. The discovery was made recently by conservationists working on a watercourse restoration project in the area. 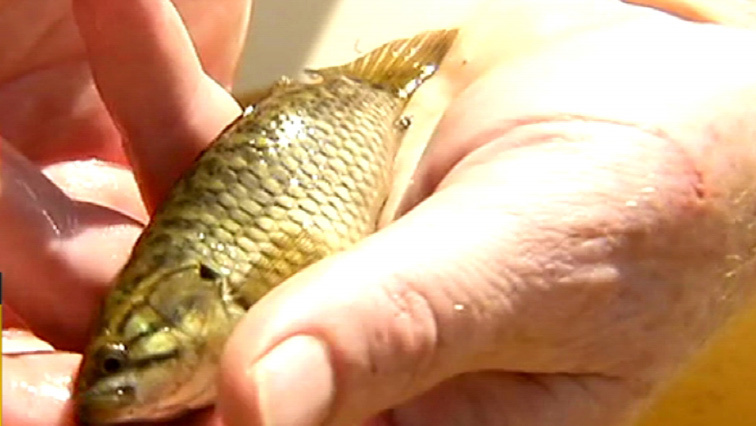 While conducting a water course restoration project in critically endangered Renosterveld vegetation, conservationist Keir Lynch discovered two fresh water fish species, Cape Kurper as well as a small population of the critically endangered Heuningnes Redfin was found in some of the Overberg Renosterveld rivers systems. These small fish are known in the upper reaches of Fynbos Rivers, but were unknown in the Renosterveld. “This is a Cape Kurper which is also one of the endemic species that is only found in the Western Cape so it occurs nowhere else in the world except in our water systems. One of the fantastic things with these fish it’s an opportunity to measure the health of the river system and when we have a look at Renosterveld, which is the ecosystem which is found on the shale soils of the Overberg area, it’s the areas that have largely been converted into agricultural production land over the last 100 years which means that a lot of the natural ecosystems have unfortunately been lost. Of the original extend only 5% of that remains, most of that occurs along our watercourse areas very steep areas or wetland areas that were too rocky to plough. So the fact that these fish have managed to survive within in this type of environment, on the lowlands within an agricultural landscape which is quite incredible,” Lynch, Project Manager and Overberg Renosterveld Conservation Trust’s Keir Lynch said. The Watercourse restoration project in the Overberg area focuses on building relationships with landowners, to assist with restoring the remaining natural Renosterveld vegetation on private and agricultural land. Dr Odette Curtis-Scott, Director of the Overberg Renosterveld Conservation Trust says the Overberg Renosterveld is considered one of the world’s richest Mediterranean ecosystems, but also the most threatened. By restoring these terrestrial ecosystems, they act as a critical buffer system to aquatic systems. They filter sediment and pesticides that flow from agricultural land and prevent the pollution of the watercourses and rivers. These small remaining pockets of Renosterveld are the lifeblood keeping these landscapes and indigenous fish species alive. Overberg Heuningnes Redfin Renosterveld vegetation Keir Lynch Overberg Renosterveld Conservation Trust Cape Kurper The Watercourse restoration project. This entry was posted on 20 Jan 2019,09:25PM at 9:25 PM and is filed under Sci-tech, Homepage Featured Story Slider. You can follow any responses to this entry through the RSS 2.0 feed. Both comments and pings are currently closed.